The newest trailer for the early alpha version of Kingdom Come: Deliverance was uploaded to the developers (Warhorse Studios) Youtube channel on October 7th. For those who haven’t been following this game, it’s an incredibly ambitious first person, open world, very realistic RPG set in medieval Europe. The game was Kickstarted successfully(very successfully) on February 2nd, raising £1,106,371, destroying its goal of £300,000. The game is set in the year 1403 in Europe and based on real historical events. The protagonist of the story is the son of a blacksmith who’s family was murdered by an invading army. The old king is dead, the new king has been kidnapped by his own brother, and you’re thrown in to the middle of it not as the mighty chosen one, but as one with the fate of a nation thrust upon him whether he wants it or not. The trailer doesn’t show much gameplay, focusing mostly on the gorgeous world Warhorse has created. The game is still very much in its alpha phase, so we likely won’t see a new gameplay trailer for quite some time. The good news though is that Warhorse is starting pre-alpha testing with its backers (Only certain pledge levels get early access) on October 22nd (PC only). 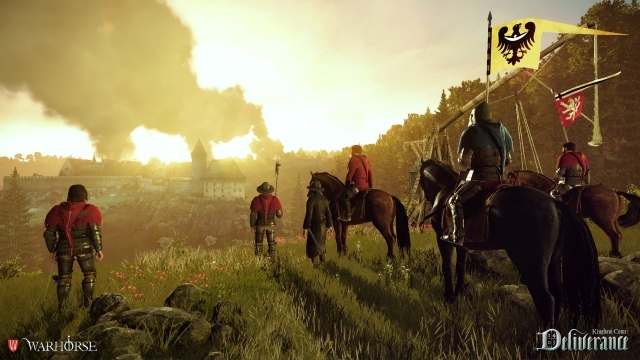 Kingdom Come: Deliverance is scheduled for full release on PC, Linux, PS4 and Xbox One in winter of 2015. Matt does a lot of stuff, and now also does stuff on oprainfall. Frequent player of Hearthstone, and many other games besides. Follow him on Twitter (@ghostlyweevil) for infrequent updates about things that he thinks about.